There is nothing more dangerous than Black Ice, unless it’s on the screen of your smart phone that is. Boku Slots decided to skate through Realistic Games ice cavern, to uncover a few gems along the way. So, don’t delay, grab your scarf and start digging for gems in this 3d game that is sure to unearth some interesting wins. 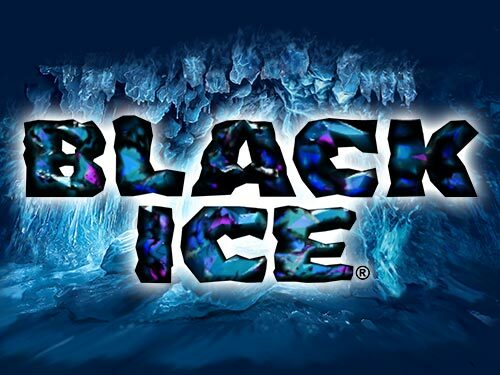 Black Ice is a 5-reel, 10 pay line slot offering a cool RTP of 95.06% for players. It is a 3d spectacular and the background moves in all directions as the reels spin. This can be switched off and you can have a stable background though, as it can get a bit much after a while. All the symbols are glowing gems ranging from Amethyst’s, Ruby’s and Sapphire’s and the background music is very ethereal to the ears. Bet Amounts – Betting begins at 20p per spin and can be adjusted up to £200 per spin. There are plenty of options in between those amounts, so be sure to have adjusted your stake accordingly. To do this you need to hit the smaller of the spin icons on the screen and move to bet. Not the easiest way to change your stake we know, but at least there is no way of accidentally changing your bet! Wild Symbol – A white gem with the world wild across it is of course your wild symbol! It will substitute for all other symbols in the game. 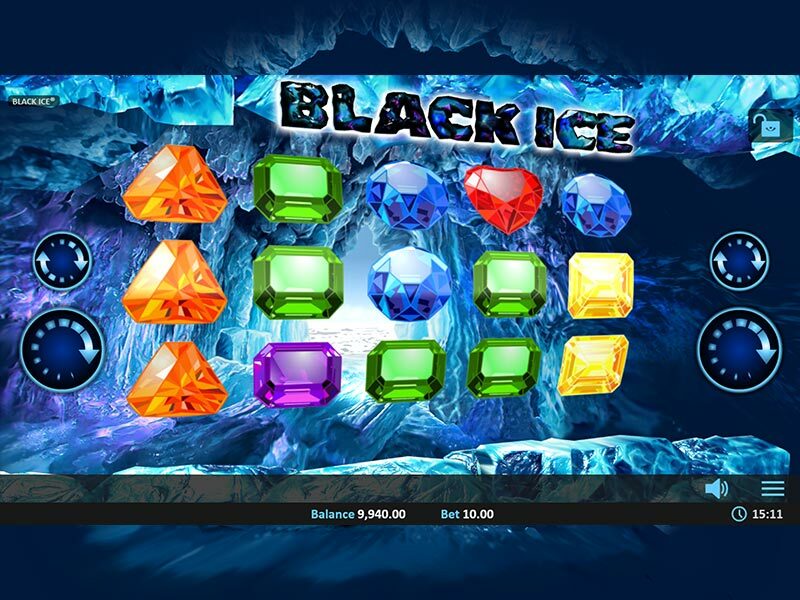 In Black Ice the wild also is the highest paying symbol and offers a colossal 5,000 coin win for landing 5 on a winning line. Bonus Respins Feature – Whilst there is no scatter in Black Ice you can still benefit from bonus spins. Triggering the feature is simple, just form a winning combination. Any non-wild symbols will then turn wild and you are offered a respin. This process will continue until you don’t land a win, however each time you land a win those symbols will turn wild and you will spin again and again creating bigger wins. The amount of times you can trigger those spins isn’t set, meaning it can carry on for some time. But once you reach the 50,000 jackpot the spins feature ends and you are returned to the game. Ok, so despite its lack of features and scatter or bonus symbols we actually liked this game. The simplicity of Black Ice is what will convert you from a hater to a lover. With wins happening often and the bonus respin feature lasting a while in some cases, the chances to win big are actually high. We did turn off the 3d moving background after a while, as it was setting off our motion sickness. But at least we could switch it off and carry on playing, as otherwise that would have been a huge negative. We certainly advise you to give this one a go, don’t let its over simplistic game design put you off and you will thank us in the end.